Winter is great for sledding challenges, building snowmen, and playing cold-weather sports. Unfortunately, winter can also wreak havoc on every inch of your routine and the health of everyone in your family, especially the youngest. Kids are especially vulnerable to the harsh winds and cold temperatures of winter, so it might be a good idea to take some extra precautions to protect them. Here’s how winter can affect your kids’ health – plus tips for protecting them from winter’s chill. Accord ing to the National Weather Service (NWS), frostbite and hypothermia—two serious, cold-weather related conditions—can occur in as little as ten minutes in places where the temperatures drop below freezing with high winds. Knowing this, it makes perfect sense to take a few precautions when kids need to wait at the bus stop since they will be spending a lot of time waiting for their rides to school. Fortunately, you can take steps to protect your children from cold weather issues like dry skin, nosebleeds, and itchy eyes. Just keep in mind that the stronger the winds, the colder it will be at the bus stop. Dry skin can be caused by the dryness in the air and friction of harsh wind against unprotected skin. To protect against dry skin, make sure your children are covering up the most vulnerable parts of their bodies: fingers, noses, and ears. Kids may wear coats and hats, but the skin on fingers, noses, and ears can be at risk for frostbite if they are not properly protected. Nosebleeds are a result of the same things that cause dry skin in winter. The Livestrong Foundation has a lot of great information about nosebleeds in winter, and how you can prevent nosebleeds. For example, humidifiers can help to add moisture to the air, which can alleviate dry skin issues. Itchy eyes are, again, caused by strong cold winds, but if your kids make sure to wear sunglasses, they should be able to avoid the worst of it. Just because it’s cold outside, doesn’t mean that kids will stop experiencing allergy symptoms. In fact, some allergies will be made worse because your kids will be staying inside where allergens such as dust, and pet dander accumulate. Wendy C. Fries, in “Winter Allergies: What’s Your Risk?” written for WebMD, states that there are a few things you can do to help with allergies during winter: wash your hands and face, and keep bedding clean. If you have a child who suffers from winter allergies, take a look at the article for more ways you may be able to help him or her. It’s a common misconception that colds and the flu are caused by the cold temperatures of winter, but as far as we’re concerned, these misconceptions might as well be true. According to Harvard Health Publishing in a Harvard Health Letter published in November of 2014, colds and flu viruses are more easily spread because people spend more time close to each other in indoor spaces. Just like with allergens, you can help your kids avoid colds and the flu by making sure they wash their hands and teaching them to avoid touching their mouths, eyes, and noses. Since you’re unlikely to spend your winter sequestered away from other people and snow, you may want to take some basic precautions for your children when they go outside, to school, or to friends’ houses. Always remember gloves and hats, but avoid scarves. Scarves can get tangled around little bodies and could be a choking hazard. Ski masks can protect children’s heads, necks, and faces from harsh temperatures and wind chill. Dress in layers. Children will likely feel colder than you when they’re outside, so it’s a good idea to dress them in thin, comfortable layers that can be removed in warmer moments and put back on if they feel colder. Know the warning signs of frostbite. Toes, fingers, noses, and ears are more likely to be affected by frostbite, so keep an eye on any exposed skin in winter. The Mayo Clinic warns adults to be on the lookout for complaints of prickly feeling or numbness and skin discoloration. Avoid all the germs. Teach your children to cover their mouths with the crooks of their arms if they need to cough or sneeze to avoid getting germs on their hands, which could then be transferred to germ-collecting surfaces such as desks, counters, and other people’s skin. Not only should you take care with your children’s physical health during winter, you should also take some precautions to keep your children in a positive frame of mind to keep away the “winter blues.” Kids can start to feel the effects of the “winter blues” with a decreased amount of sunlight. The “winter blues” can cause children (and adults) to feel more tired and irritable, which could lead to more serious emotional or mental health issues. Happily, there are a few things you can do to help your children get through winter without as much of a dip in their emotional health. Maintain a healthy diet. While some comfort foods can elevate emotional health temporarily, they’re not all created equal. To make meals healthier for the mind, eat more vegetables and avoid pastas and breads (Remember: nutrition affects academic performance, too!). Get some sun, any sun. During winter, make sure your children spend some time outside whenever it’s sunny. Every little drop of sunlight will help to keep their spirits bright during an otherwise dark time. Exercise whenever possible. If the temperatures are mild, make sure to send your children outside to play for a bit, and when it’s too cold to be outside, play games together as a family. What are some ways that you protect your child’s health in winter? 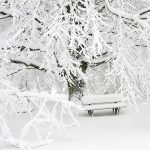 Tags: how cold weather affects the body, How Does Winter Affect My Child's Health, How Does Winter Affect My Child's Health & What Can I Do About It?